Avoid responding in a way that will make people feel guilty for missing your service, event, etc. Student pastors that put guilt trips on their people don’t have healthy ministries. 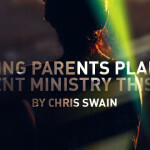 Just because a family or volunteer may miss something from time to time doesn’t mean that they don’t support the ministry. Think ahead and have plans in place that will allow your volunteers to miss from time to time. Often, this will be keeping a list of substitute leaders that can step in. Embrace the reality that while church and gathering with the Body of Christ is important, so is getting away with family and creating memories. It truly is part of the family discipleship process. Take vacation yourself. You need the time to refresh and be with your own family. Too often bridges are burned because of a wrong reaction in this situation. Instead of being offended, hurt, or angry when a volunteer or family is missing, try to find creative ways to minister to them in their absence. Doing this will show the vacationers how much you truly care about them and will earn you major support points in the process. Take the time to put together a short family Bible study that you can give to parents who are taking their families on vacation during the summer. Don’t make it too long and overwhelming. Think devotional size Scripture passages and questions that will foster conversation with the parents and their kids. You may even connect these summer vacation discipleship kits to the overall theme of your summer or youth camp. If the families have younger siblings look for some coloring pages and include a small package of crayons. Your goal here isn’t to turn their vacation into a mini youth camp. 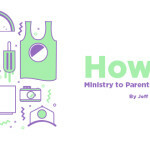 It is to equip them to have quality spiritual conversations while they are gone and let them know that you care about them beyond them showing up at your stuff, because hopefully you do care about them beyond them showing up at your stuff.